Deep inky garnet liquid rushes from the bottle. A lovely scent of dusty violets swirls up toward your waiting nose, while the long-swirling legs keep your attention on the prize. As you swirl, a deep undercurrent of dusky black and red fruit, tinged with a hint of tartness makes its way forward. The first sip releases a gentle rush of sophisticated flavors: the surprise of bold fruit blend with toasted oak touched by earthiness. 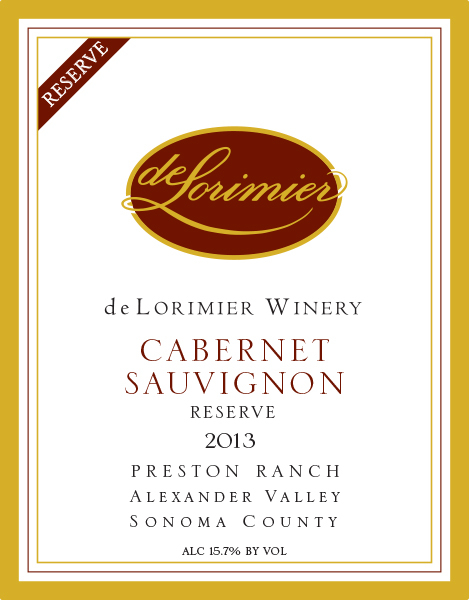 Marking this Cabernet as extraordinary, the balanced acidity with gorgeous fruit combine in a perfect fusion. Pair with slow-cooked traditional meatballs, or braised beef tenderloin with blackberry-fig-shallot sauce.